Instead of planting flowers in the Pioneer Drive median gardens this spring, we need volunteers to dig up perennials. 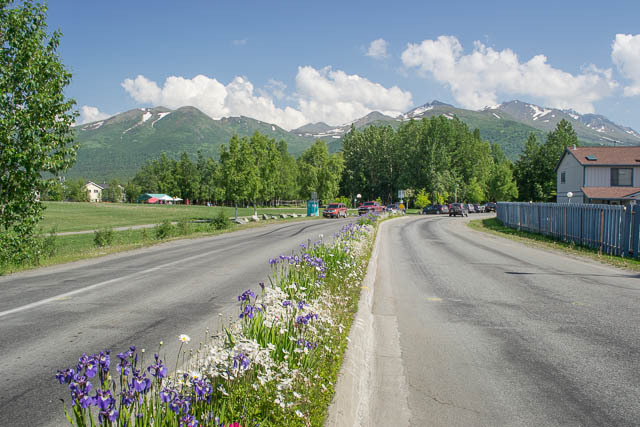 We will save some for new landscaping along the front edge of Chugach Foothills Park when the Pioneer Drive street upgrade is completed this fall. We need volunteers 16 years or older. Bring gloves and shovels. We will supply safety vests at 9 a.m. Saturday, May 17, at the Chugach Foothills Park entrance on Pioneer Drive. The long-anticipated Pioneer Drive Upgrade, Muldoon Road to Resurrection Drive, PM&E Project 04-20, is to begin on or about Monday, May 19. The project will install a storm drain system, curb and gutter, new pavement, and a sidewalk and paved pathway on Pioneer Drive from Muldoon Road to Resurrection Drive. The park will also be improved with a paved parking lot, new paved pathway and landscaping. Emergency access will be maintained but regular traffic will have to detour around the active construction zones. Park pathway access will be maintained but there will be no vehicle parking during construction. 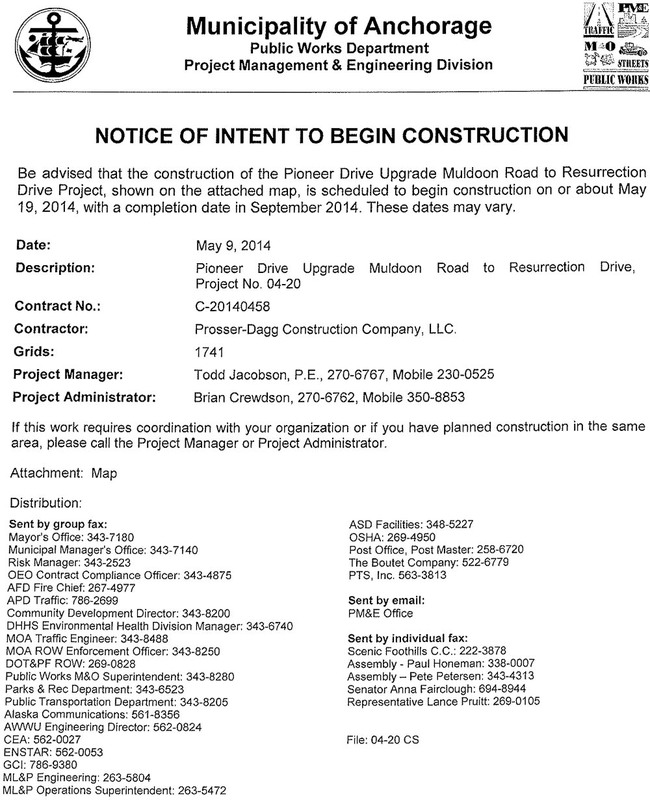 This work will be generally complete by mid-September 2014.